Only have a short time to spend in Montreal? Stop agonizing over how to see and do everything in the city and sign up for the Ultimate Montreal Morning Tour. 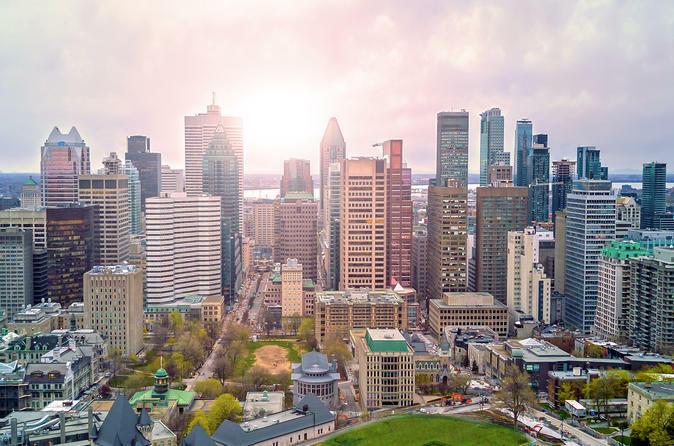 For 5 hours, this tour will take you to all the “must see” attractions including Mont Royal, Olympic Park, and the St. Lawrence River riverfront. Once the group is assembled, your tour will begin with a drive through Mont Royal. If the name sounds familiar, it is because that is the mountain that the city was named after. While on your guided driving tour, you will be able to take in beautiful views of the surrounding area and the city skyline. There will be brief stops along the way at St. Joseph’s Oratory and a landing on Mount Royal where you will be treated to breathtaking scenic views. After taking in all the wonderful views, your tour will shift its focus to the historical side of Montreal. There will be a brief guided tour of Montreal’s Old Town. The tour is filled with tons of amazing – and little known – historical facts and the chance to see an absolute “must see” sight – Notre Dame Basilica. From Old Town, you will head to the Old Port of Montreal where you will board a river boat cruise. For 60 minutes, you will be able to sit back, relax and take in some amazing sights as you float down the St. Lawrence River. Last stop on the tour is a quick trip to the site of the 1976 Summer Olympic Games. On the driving tour of Olympic Park, you will see everything from Olympic Stadium and Saputo Stadium to the Botanical Gardens, Planetarium, and Biodome. There will be just enough time to make a short stop at Olympic Stadium where you will head up to the observation deck of the Olympic Tower. Don’t forget your camera because you will want to capture some of the amazing views of the surrounding area.